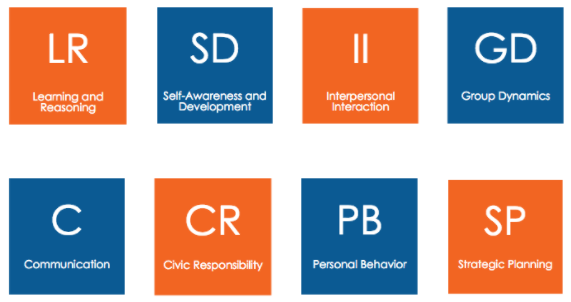 The Stu dent Leadership Competencies Inventory allows you to take short assessments to measure your proficiency levels in each of the 8 competency clusters: Learning and Reasoning, Self-Awareness and Development, Group Dynamics, Interpersonal Interaction, Civic Responsibility, Communication, Strategic Planning, and Personal Behavior. Complete one, complete a few, or complete them all! Find out more about the Student Leadership Competencies Inventory and take the assessments. The Student Leadership Competencies 360 Evaluation was created to provide a tool to evaluate the Behavior dimension of the 60 competencies. 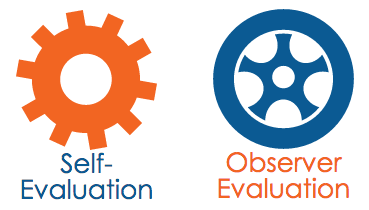 The 360 Evaluation includes a self-evaluation which measures a person’s self-perception of their performance of the 60 competencies and an observer evaluation which measure’s an external observer’s perception of an individual’s performance of the 60 competencies. Find out more about the Student Leadership Competencies 360 Evaluation and complete the self-evaluation or observer evaluation.